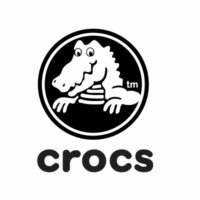 Crocs is one of the most popular shoe brands today, selling shoe products for leisurely activities or for lounging. The company was founded back in 2002, with its first store opening in Boulder, CO. Today, it continues to expand across the world, providing jobs to more and more employees. It currently employs more than 4,500 people in more than ninety countries, and is today considered as one of the fastest growing shoe brands in the world. Crocs employees enjoy flexible working hours as well as employment benefits for full time workers, which range from health insurance to a 401(k) retirement plan. Other perks include discounts and complimentary shoes. People like working at Crocs because of its fun and health centered community, which provides employees with more time to enjoy life through paid vacations and more time off. How old do you have to be to work at Crocs? Those who have an experience in the sales industry may be more preferred, although the company is also accepting first time job seekers. In order to qualify for an entry level position, a candidate must be at least eighteen years old. Crocs offers two job types: sales associates and store managers. Both these jobs require applicants to have both sales and customer service skills. Sales Associate: The basic pay for a sales associate can range from $8.00 to $12.00 per hour. There is a chance of earning more through commissions for each sale made. In order to get a job as a sales associate, an applicant must have knowledge of the Crocs brand, and should be aware about all shoe styles and categories. They must be able to make recommendations to customers and should be good with handling products and cash. Store Manager: An annual salary ranging from $31,000 to $51,000 is what a Crocs store manager should expect to earn. They are responsible not only for hiring sales associates, but also training and evaluating them. Store Managers are the ones responsible for maintaining business ethics, and so applicants should have excellent organizational and interpersonal skills. They must also be excellent at multitasking. Application is mostly done in person. However, there is also an online application option. In order to apply for a job, applicants can present their resumes to the store manager, or register through the website, and an interview will be scheduled. The online application process provides applicants with links to job openings, and from there they can create a profile and register. The application form in the online application process is direct, so make sure that you present accurate and up to date information about yourself. The store manager will interview you at a time that is convenient for you and for them. The interview can take place either on the day you applied or after less than two weeks. Store managers ask questions that typically deal with how to handle customer complaints. In order to be considered, you should present yourself as a positive and helpful individual. The culture at Crocs is centered on making things as fun for its employees as possible. Employees are highly valued and are therefore provided with many personal benefits. Crocs has even made advancements in creating footwear for people with diabetes, with both Medicare and Medicaid services approving a model designed to reduce foot injuries for diabetic patients. The company is known for providing comfortable and fashionable footwear meant for leisure or for lounging. The company continues to expand on its contributions to the medical sector, designing footwear that will benefit more and more individuals with illnesses or disabilities.